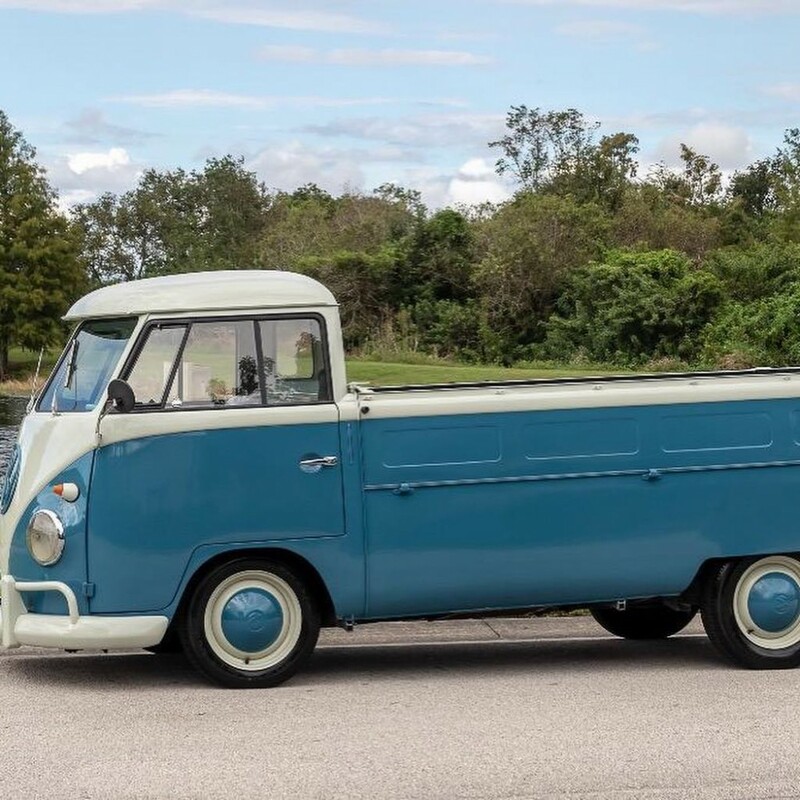 Now available by The Motor Masters is a 1959 VW Split Window Single Cab for sale. 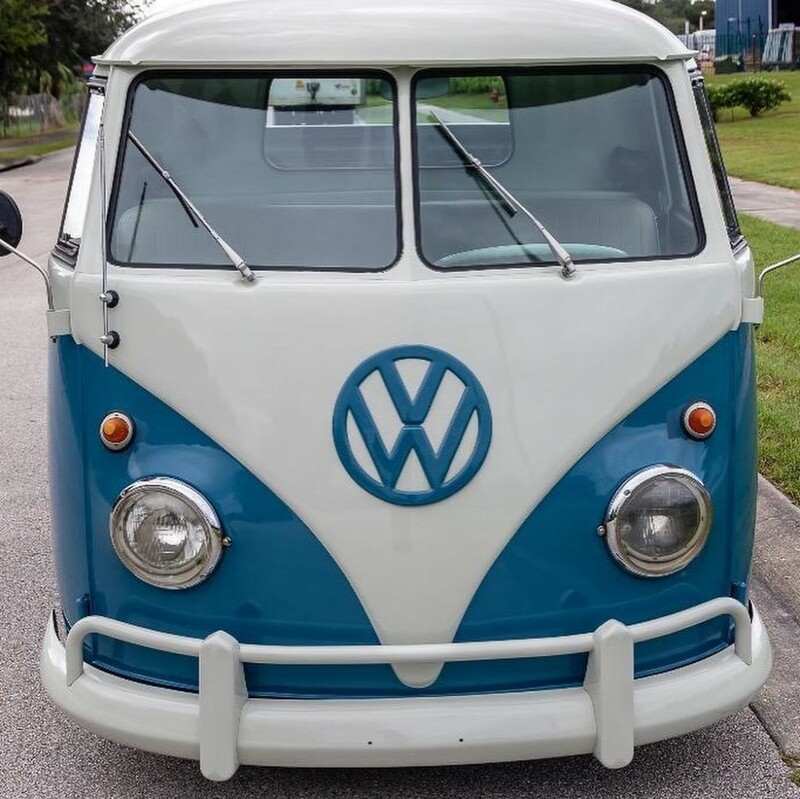 The beautiful VW has a great color combination of blue and white. 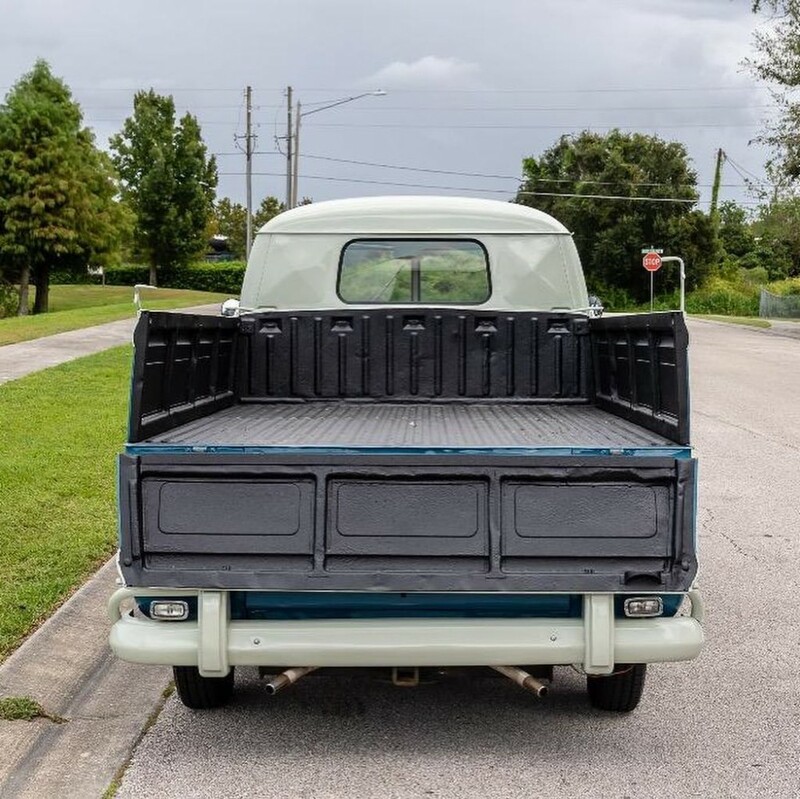 Perfect to haul big items or if you are moving to your new home to load all of your belongings. 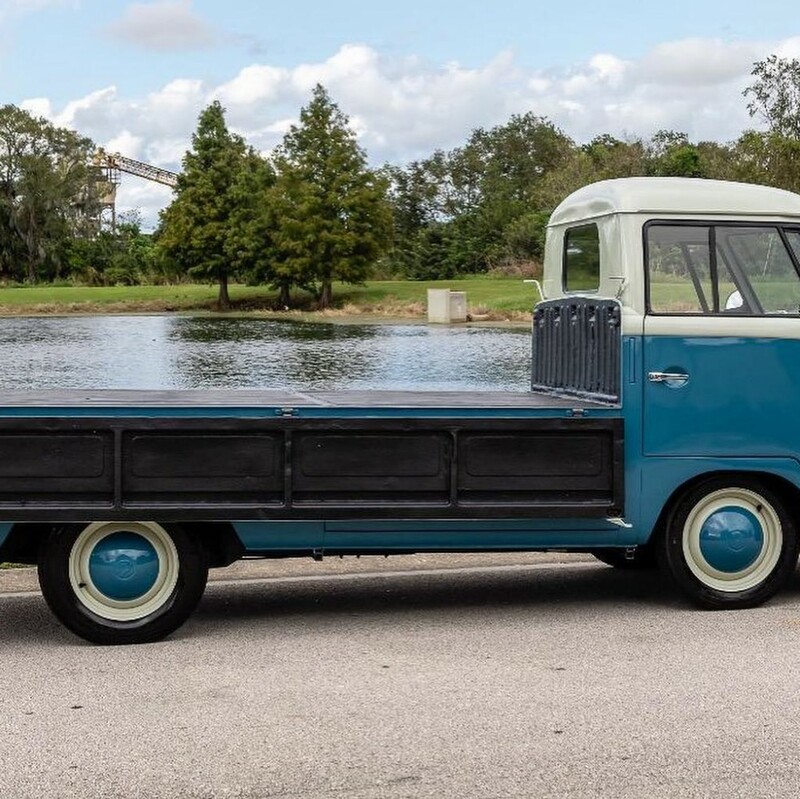 Volkswagen really came up with a great design for the vehicle. 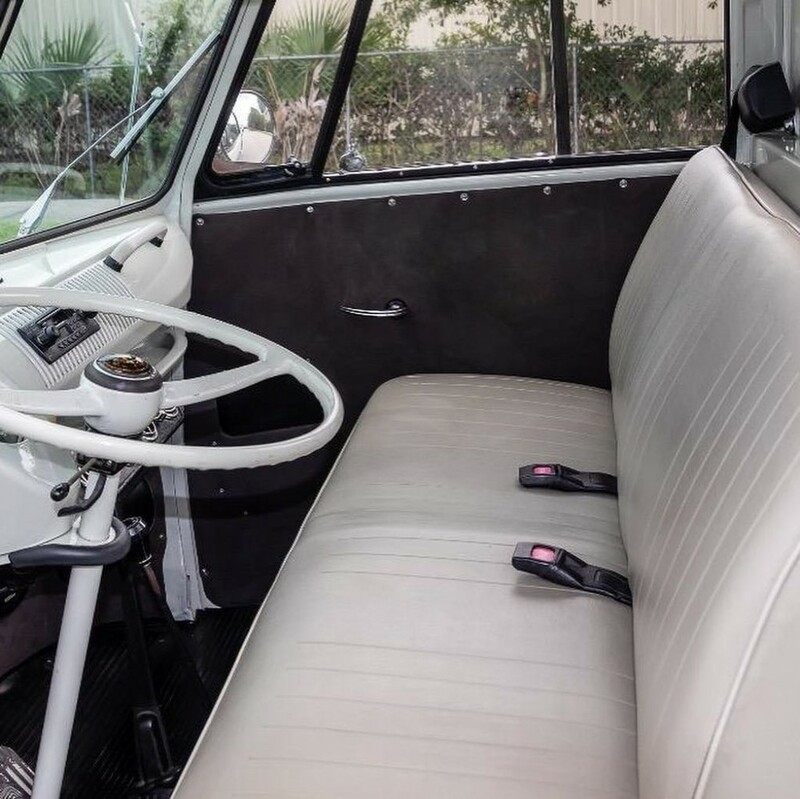 The interior is also something that will catch your attention. 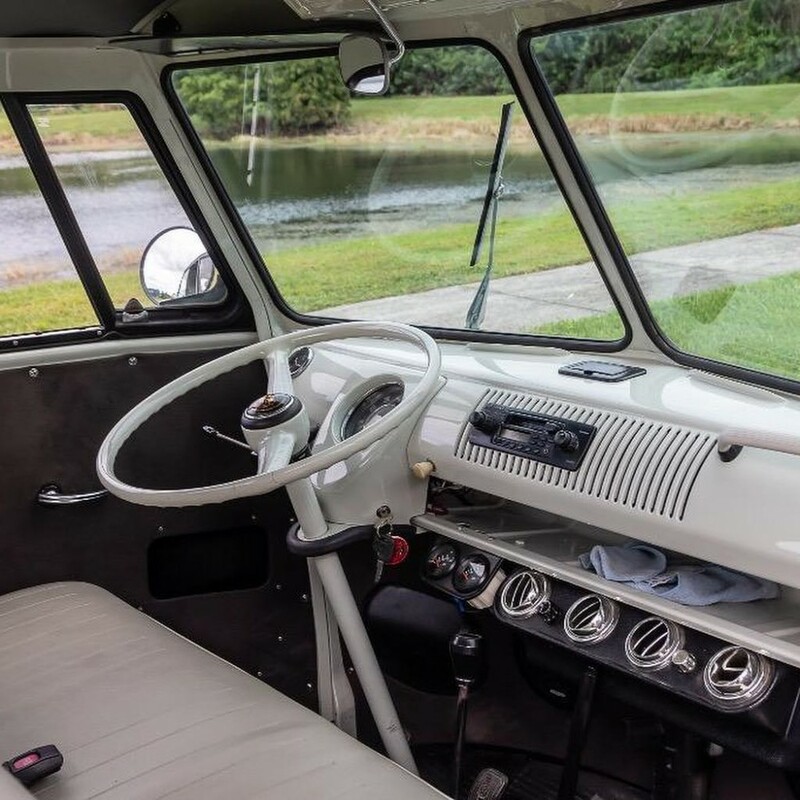 Cream white seats with a white dash. The door panels are black and are flush. The AC vents are chrome color and are perfectly polished. Has an aftermarket AM/FM Stereo with CD Player. There is a storage area in between the dash where you can lay down some of your personal items, such as your cell phone. 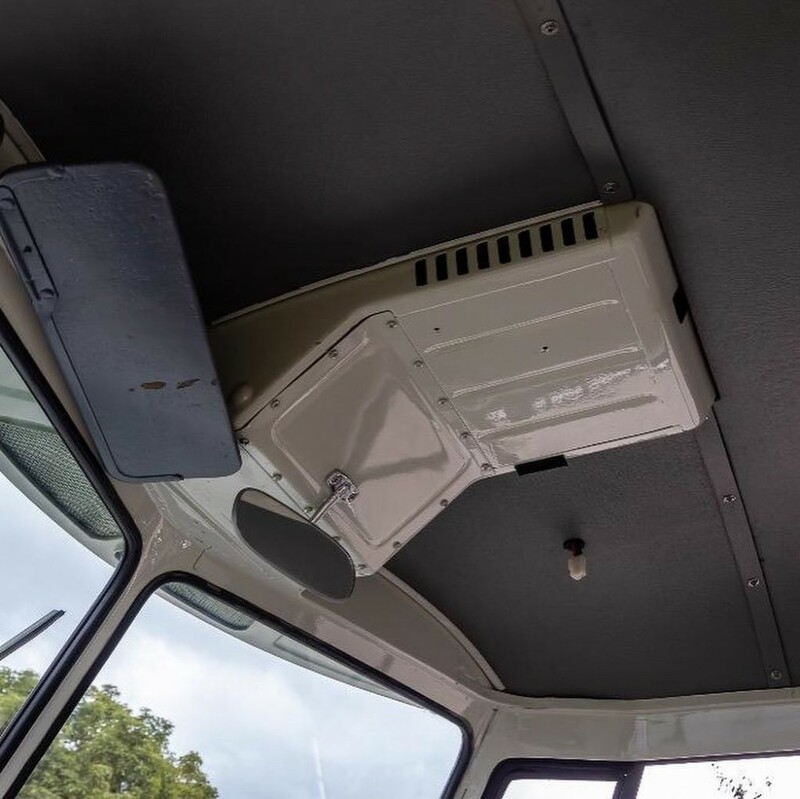 There is another storage compartment located above for additional items. 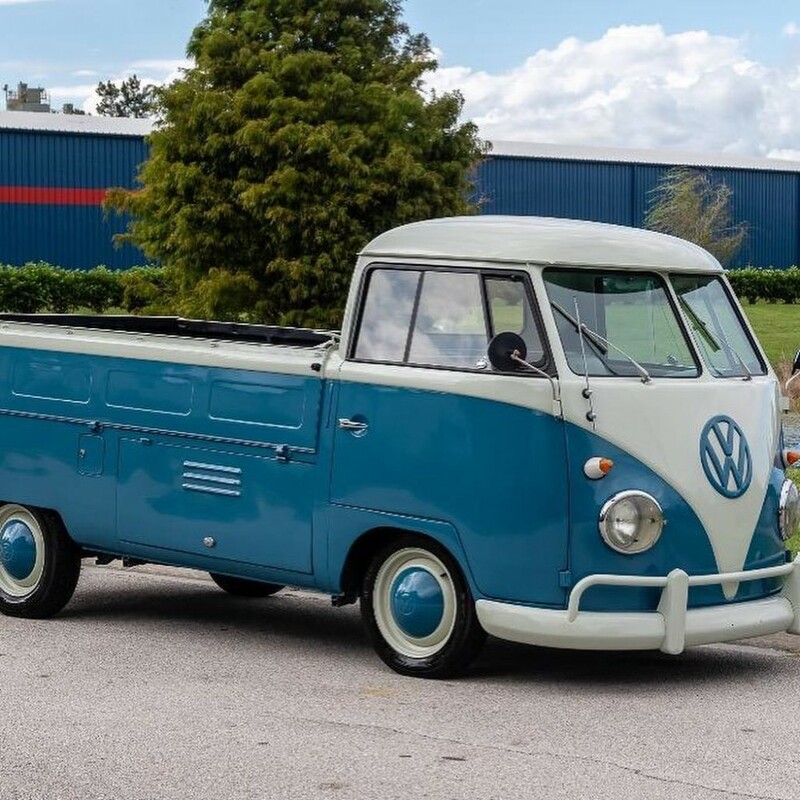 1959 VW Split Window Single Cab with drop sides, 1600 CC Dual Port Engine and 4 Speed Manual Transmission, Rust Free Truck! 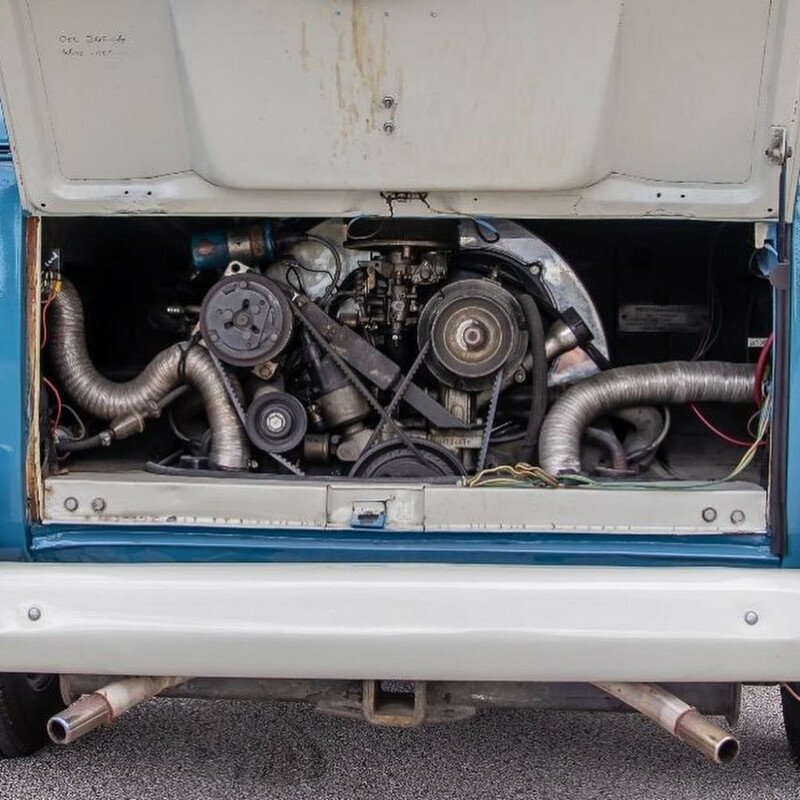 This VW had the same owner for the last 37 years, Cold Air Conditioning, New Wheels and Tires, New Paint and much more! Drive and enjoy this amazing VW and have a lot of fun! 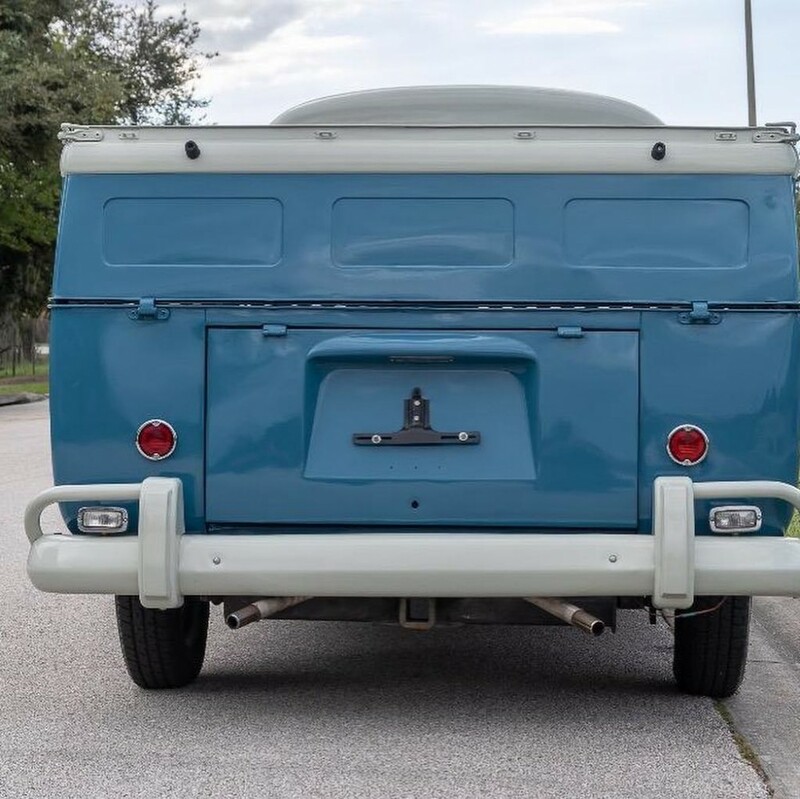 If you are looking for a classic VW single cab, then you have found it. These are becoming more rare. Buy this one at a great price. WOn’t last last long so give us a call TODAY!